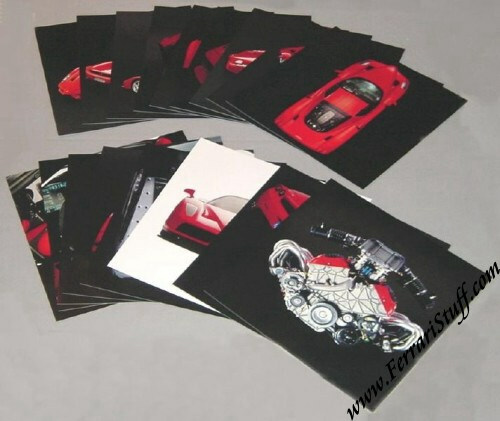 Ferrari factory original 2002 Ferrari Enzo Press Kit / Media Pack. 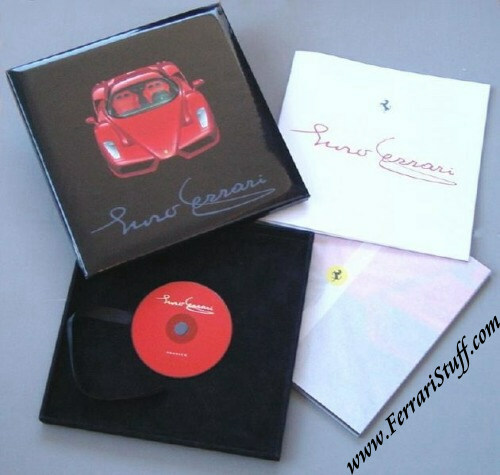 This Press Kit comes in its original shiny black box which contains 28 color cards on Ferrari's then-latest supercar. Also contains a CD-Rom and brochure number 1846/02 of 16 pages (Italian and English). The box measures approximately 11.5 x 11.5 inches. The set carries Ferrari Print Number 1831/02. The box of this set has a degree of shelf wear and the 1846 brochure has a tiny stain on the front cover. Because of its condition, we have reduced the price to US$ 499.99.